The building at 17 Bolshaya Ordynka, in the heart of the Zamoskvorech’e section of Moscow, is generally known as the Akhmatova House because the great poet Anna Akhmatova would live here for long periods of time when she made trips to Moscow from her home in Leningrad between the years of 1938 and 1966. 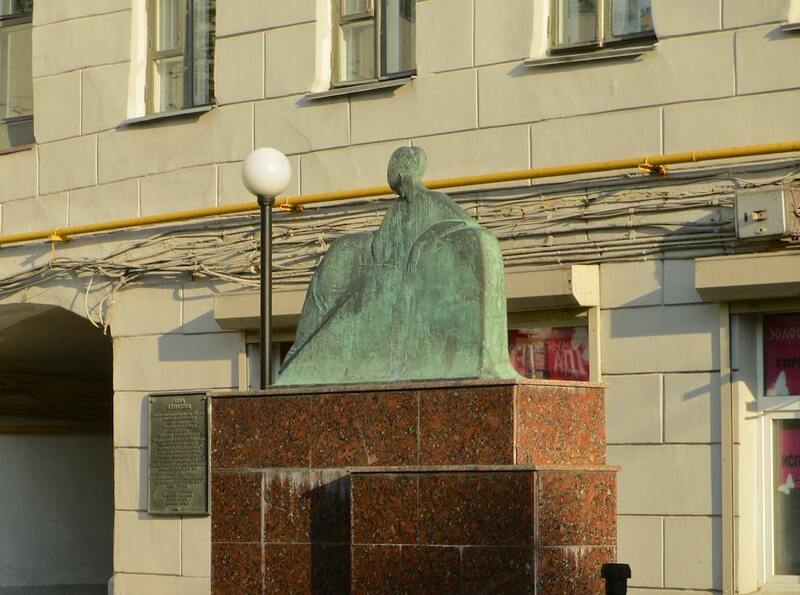 The small but tasteful sculpture that commemorates Akhmatova’s connection to this building is a quote of a famous drawing of Akhmatova by the great artist Amadeo Modigliani. By some accounts this home was as important in Akhmatova’s creative biography as the famed House on the Fontanka in Leningrad, where she wrote many of her most important works. 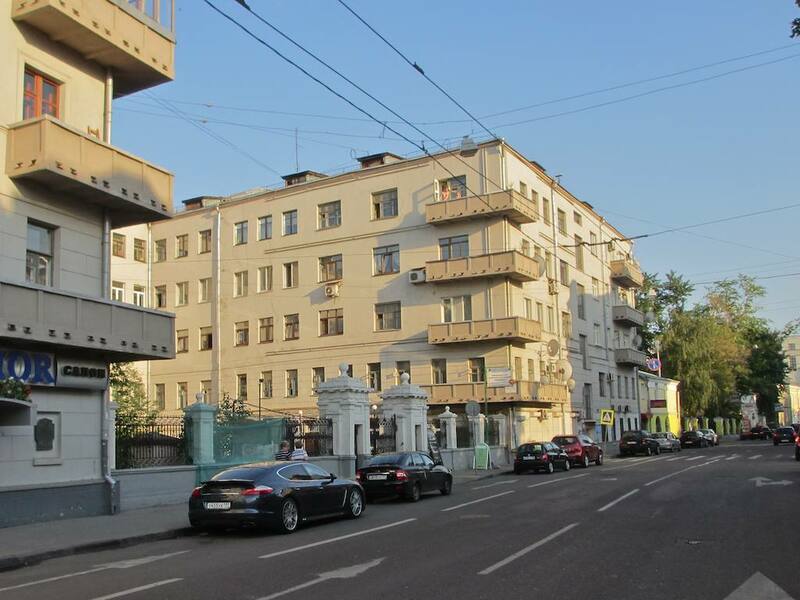 The actual Moscow apartment that she stayed in belonged to Viktor Ardov, a very successful comic writer, and his wife Nina Olshanskaya, an actress who was one of Akhmatova’s closest friends. Olshanskaya was an actress at the Moscow Art Theater and later, at the Soviet Army Theater. 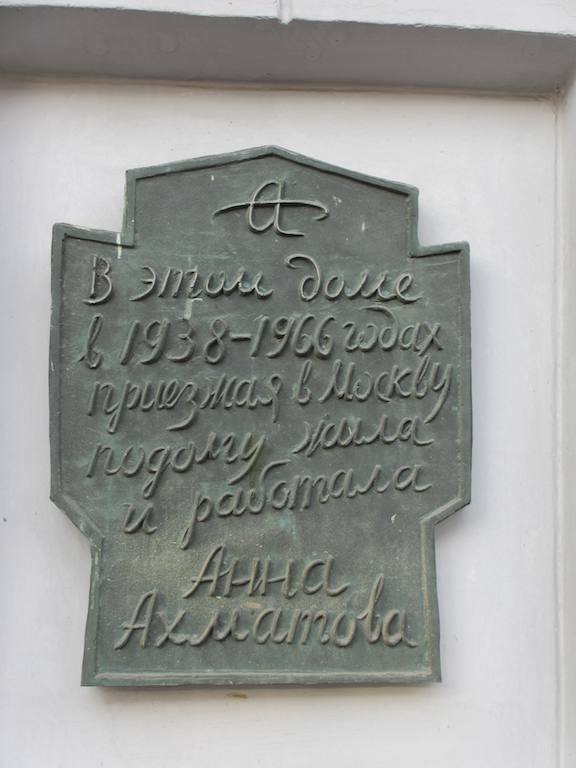 It was at the Ardov-Olshanskaya home where Akhmatova met face to face for the only time with the other great Soviet-Russian female poet of her time, Marina Tsvetaeva. That happened June 7-8, 1941, just two weeks before Germany invaded the Soviet Union, and two and a half months before Tsvetaeva committed suicide. The Ardov-Olshanskaya home was no common home, if for no other reason that Olshanskaya’s young son Alyosha spent his young years here, too. This Alyosha, in whose room Akhmatava would stay when visiting, grew up to be one of the greatest and most beloved of all Soviet film actors – Alexei Batalov. 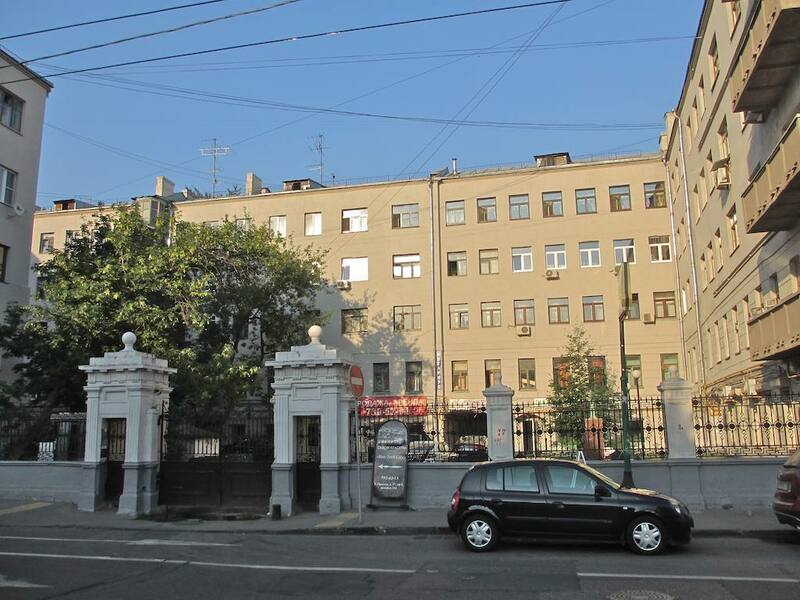 But beyond that this welcoming home was a meeting place for much of the Soviet intelligentsia over the decades. A partial list of other famous guests who would stop by for visits includes Osip Mandelstam, Mikhail Bulgakov, Joseph Brodsky, Mikhail Zoshchenko, Boris Pasternak, the great actress Faina Ranevskaya, Alexander Solzhenitsyn, the poet Arseny Tarkovsky (father of the great Soviet film director Andrei Tarkovsky), Dmitry Shostakovich, Kornei Chukovsky and more. Not bad company. But one meeting that took place here must be considered the most amazing of them all. It happened in May 1956 when Akhmatova’s son Lev Gumilyov, the famous literary critic and son of the great poet Nikolai Gumilyov, happened to drop in on the Ardovs. This was no ordinary visit. Gumilyov had just been released following 14 years in the labor camps and he had no idea that his mother was in Moscow, at the Ardovs, at that moment. He was just passing through on his way back to Leningrad and happened to find his mother there.